What a great event! 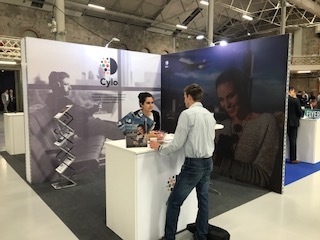 Cylo thoroughly enjoyed exhibiting at this year’s Future Travel Experience in Dublin, Ireland this year. The event had a brilliant buzz and plenty of airlines and airports to speak with about our innovative travel entertainment solutions, Allexis Travel and Allexis On-Board. We have already signed up again for next year and look forward to following up with all of our leads.